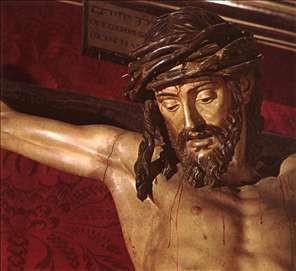 The greatest Spanish sculptor of the 17th century, known as el dios de la madera (the god of wood) on account of his mastery as a carver. 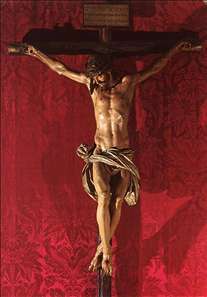 He worked for most of his long and productive career in Seville (Pacheco often painted his figures), his most famous work being the Christ of Clemency (1603-06) in the cathedral there, which shows the new naturalism he brought to the polychromed wooden statue. 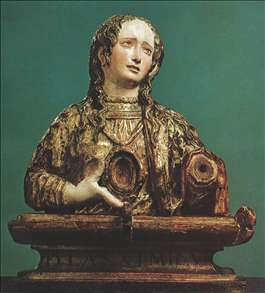 In this he occupied a role comparable to Gregorio Fernndez in Valladolid, but Montñez was more aristocratic in style, tempering Baroque emotionalism with a classical sense of dignity. In 1635-36 he was in Madrid to undertake his only recorded secular work, a portrait head (now lost) of Philip IV to serve as model for the equestrian statue of the king executed by Pietro Tacca in Florence, and it was on this occasion that Velzquez painted his well-known portrait of Montañs (Prado, Madrid). 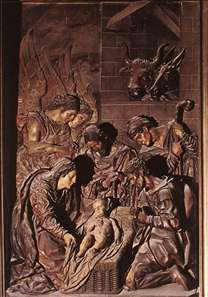 His work influenced painters such as Velzquez and Zurbarn as well as sculptors such as Cano (whom he taught), and his style was spread by his fluorishing workshop. 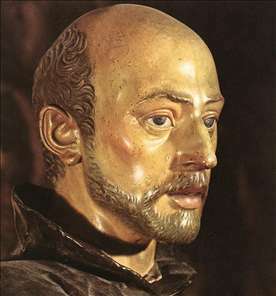 See more details about "Bust on a Reliquiary"
See more details about "St Ignatius Loyola "
See more details about "The Merciful Christ"
See more details about "The Merciful Christ "
See more details about "The Adoration of the Shepherds"